Meet Our Bright Family Team! Cristina received her A.A.S. Degree in Dental Hygiene from Bergen Community College. She has been with our practice since 2010. Cristina is gentle and very thorough. She strives to make a difference in the lives of our dental hygiene patients by providing exceptional dental care and experience. She wears many hats in the office, and with her bubbly personality she fits right in to our team. Her main role in the office is to make sure everything runs on time and every patient is satisfied with their visits. This includes managing both clinical and administrative duties. Her goal is to ensure each patient receives an amazing experience. She is a truly caring person who does all she can do to make every patient happy and comfortable. Her passions include sports, traveling, baking, dancing, movies & books. When she is not in the office attending to patients, she enjoys spending time with family and friends. Began her dental career over 30 years ago. Lorraine always jokes around and says, “since she was born”. 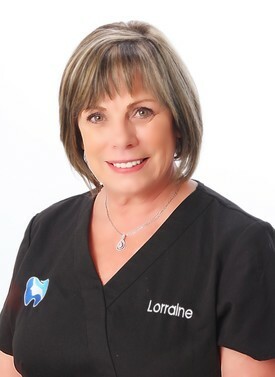 Lorraine is the clinical team leader and dental technician at our office along with extensive knowledge in all dental procedures. She is also experience in the technical aspect of dentistry, fabricating our same day crowns is a job that Lorraine loves to do. Helping a patient feel comfortable in our office is always Lorraine’s first priority. 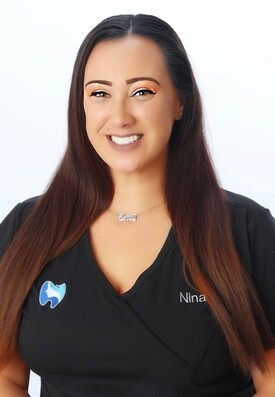 It gives her great joy and accomplishment when she has helped a patient overcome the fear of dentistry and they begin to come in our practice on a regular basis. In her free time, she loves to be spending time with her family, precious dog Cooper and growing the beautiful butterfly and hummingbird gardens in her backyard. Alexis joined our team in 2018. 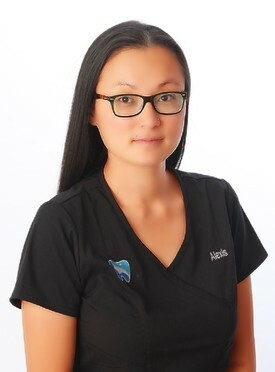 Although new to our office, Alexis has had extensive experience in working in dentistry. She specializes in dental insurance and will work hard to ensure that your insurance pays for services you are entitled to receive. 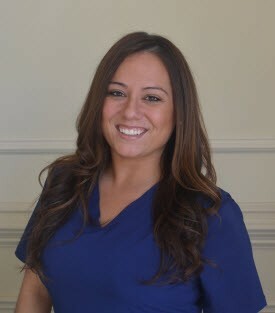 She has experience in many different dental specialties and will be able to answer any questions you may have. Alexis is a native of Rockland County, specifically New City. She has two children, a daughter who is autistic, and a son who loves to run around and keep her busy. Alexis is a big advocate for autism and most importantly her daughter. In her free time, she enjoys spending time with her family doing various different activities. Each summer, she begins her busy schedule with coaching Pop Warner Cheerleading as the head coach.